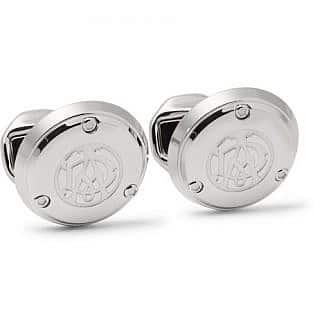 When it comes to adding polish and charm to an outfit, there’s nothing quite like a good pair of cufflinks. 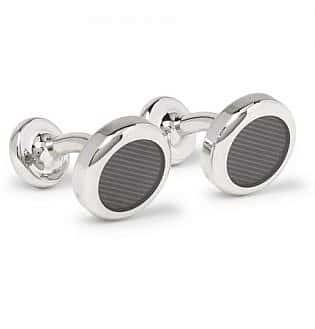 Perfect for formal wear as well as business attire, cufflinks do so much more than just keep your cuffs neat. They add an air of sophistication and style to your look while providing the perfect opportunity to showcase your personality. 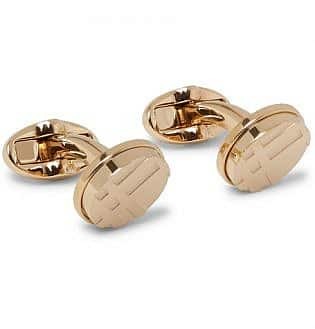 Of course, choosing the right pair of cufflinks isn’t always easy and putting them on can also be difficult. 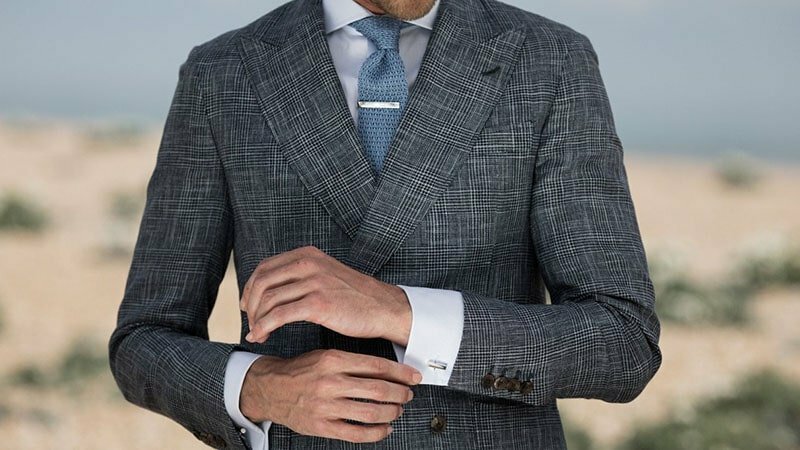 So, to help you up your wrist game, we’ve put together this guide on how to wear cufflinks like a true gentleman. 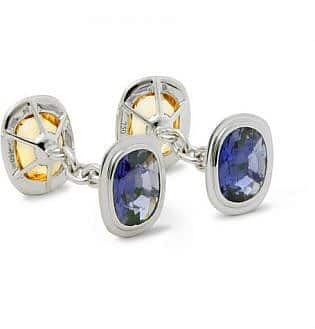 Cufflinks are items of formal jewellery traditionally worn by men. 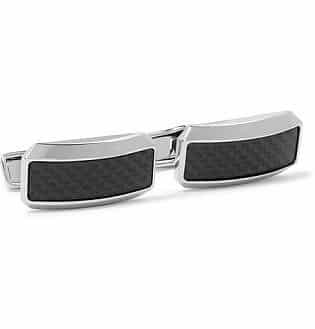 They are used to fasten together the sides of shirt cuffs and are typically worn for formal occasions. 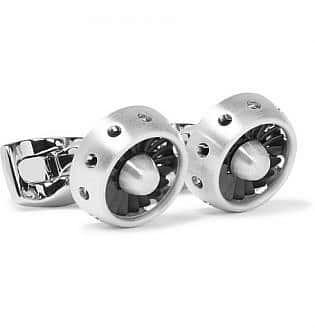 Although there are many types of cufflinks available, typical designs include single plate styles, which feature a small swivelling clasp, and linked studs. 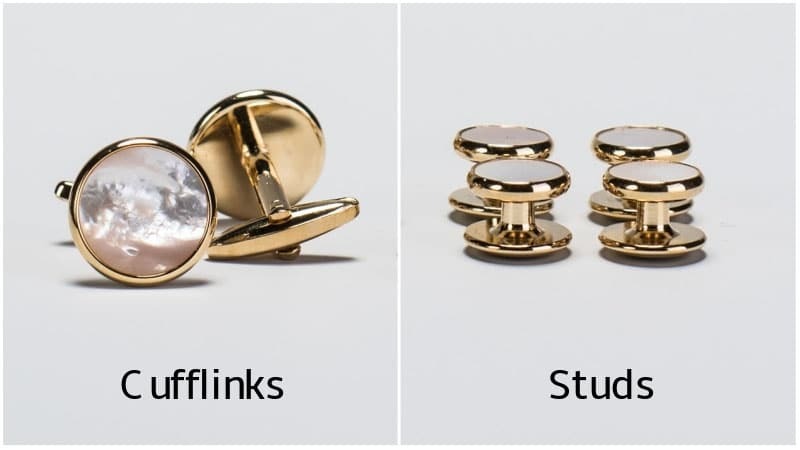 While cufflinks and shirts studs are often confused, they are two different items. Although both are worn for formal occasions, they serve two different purposes. 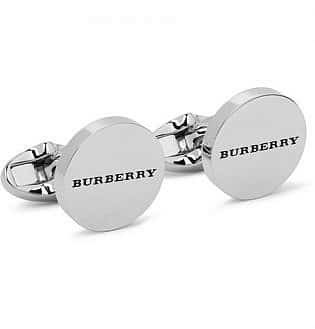 Cufflinks are used to fasten the cuffs of a shirt. While studs are also decorative fasteners, they fit into the buttonholes on the front of a tuxedo shirt. 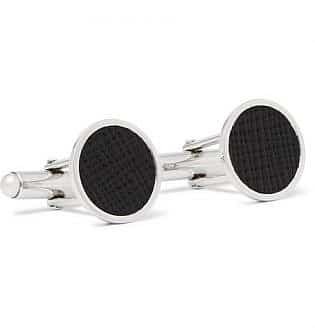 However, it’s important to note that cufflinks are available in stud styles. 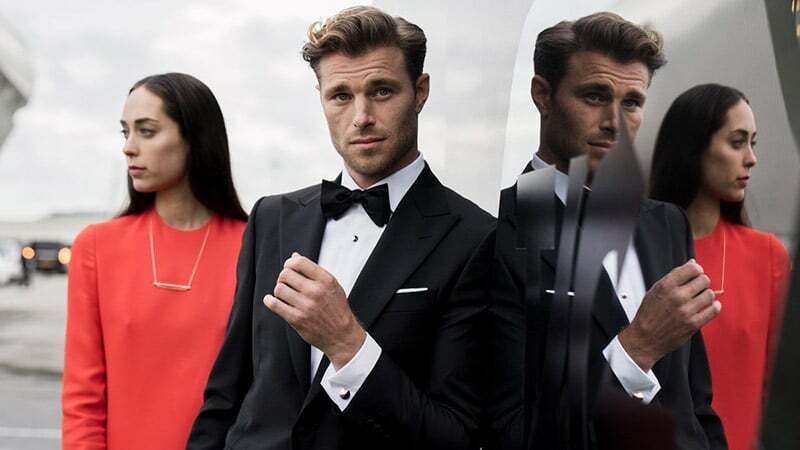 If you’re headed to an event stipulating black tie attire, cufflinks will likely be an essential part of your outfit. 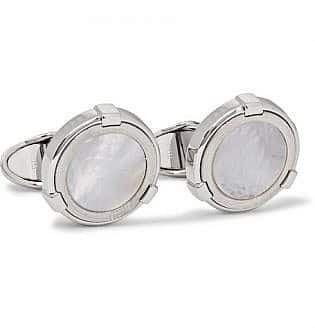 To select the perfect pair, look for more formal styles of cufflinks, such as a timeless silver or gold design that appears subtle and sophisticated. Choosing an option that’s elegant yet minimal will add polish to your appearance without detracting from the rest of your outfit. Just ensure they aren’t too simplistic or you’ll run the risk of looking dull. The key is to strike a balance between stylish and understated. White tie is another type of dress code. 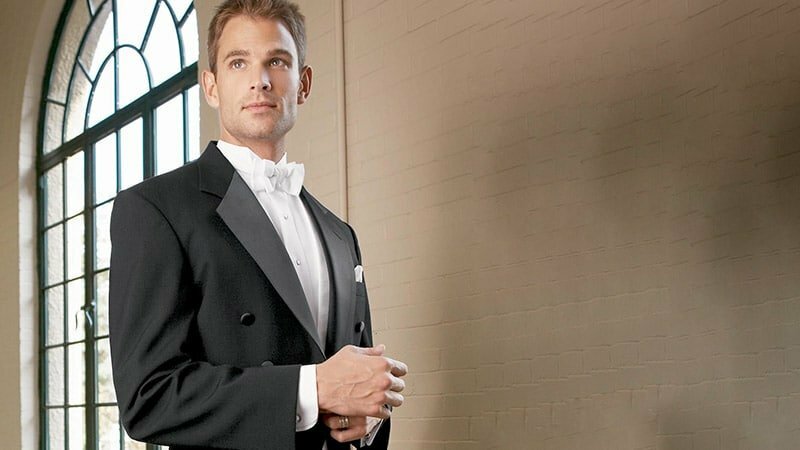 It is slightly more formal than black tie attire and is called upon for highly special events, such as galas and some weddings. As such, it typically requires you to don cufflinks. 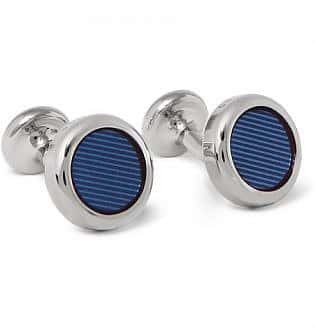 To nail the look, try selecting a highly formal and elegant pair of cufflinks. While there are many options from which you can choose, consider a sleek mother-of-pearl pair for an appropriately luxurious appearance. 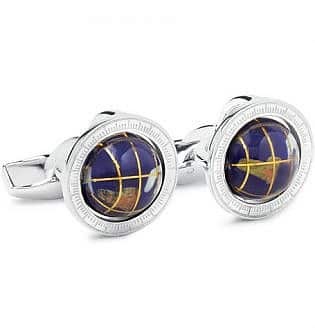 If you work in a formal business setting, you may be required or choose to wear cufflinks. However, that doesn’t mean you have to wear the same old boring pair every single day. 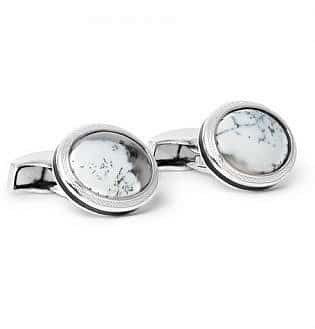 In fact, cufflinks are a great way to liven up an office outfit without breaking the dress code. 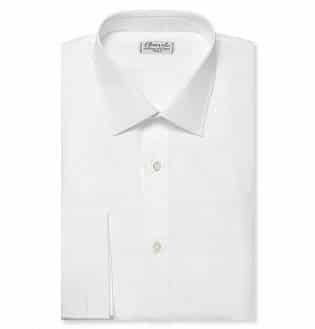 In particular, they are an excellent option for enhancing the appearance of a plain white shirt. 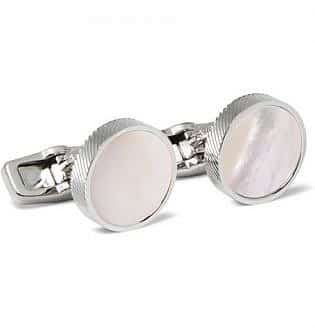 As a white shirt appears neutral and understated, it’s easy to add a variety of different and exciting cufflink styles. So, don’t be afraid to select a unique option that conveys your personality. 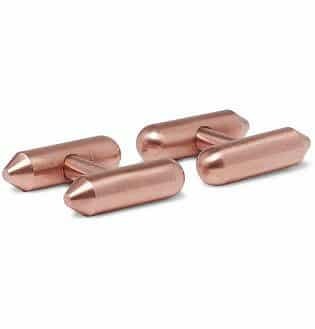 But, be sure they also appear polished enough for meetings with the boss and clients. 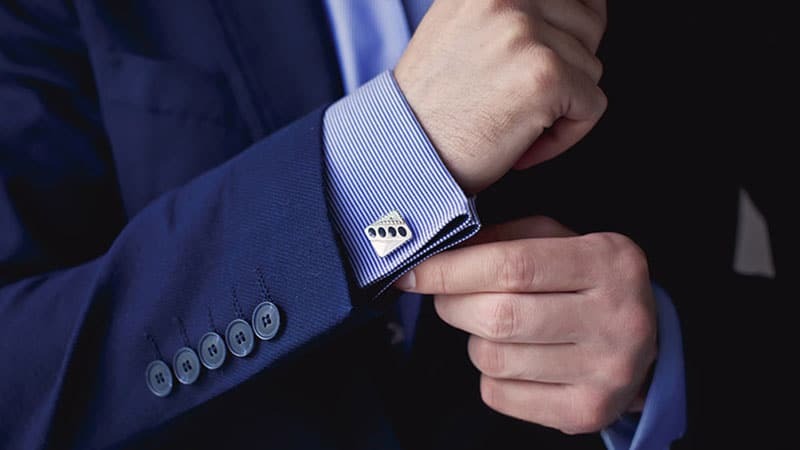 If you want to wear cufflinks with a blue shirt to work, you should do so carefully. 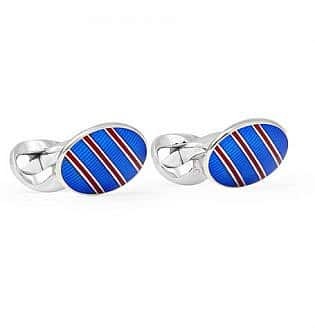 As coloured cufflinks can easily clash or appear overly bold with a blue shirt, it’s best to keep things a little conservative. To do so, try playing it safe with a pair of silver cufflinks. Doing so will allow you to play with different shapes and designs without appearing inappropriately dressed. 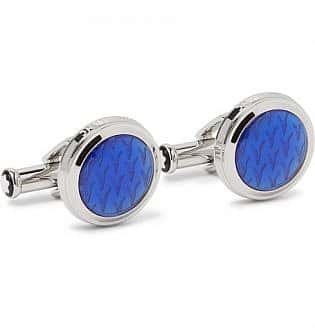 Alternatively, if you do want to wear a coloured pair, try opting for cufflinks in a shade of blue that contrasts your shirt. 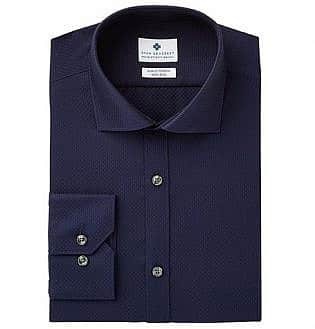 For instance, if your shirt is light blue, add dark blue cufflinks, and vice versa. 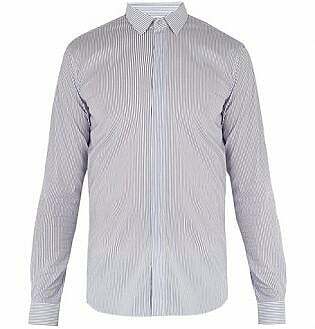 This will keep your appearance consistent and smart without allowing it to look overly monotonous. 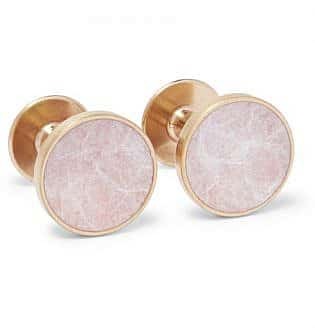 It can be hard to find the perfect pair of cufflinks to go with a pink shirt. Hard, but not impossible. In fact, you have a few great choices that you can rely on to make you appear polished and office-appropriate. Your first option is a pink-toned pair that will complement your shirt while offering a slight contrast. 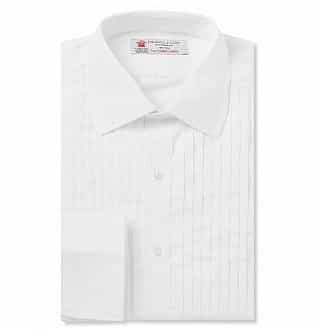 The second is a sleek silver style that’ll allow your shirt to stand out while gently accenting your cuffs. Finally, your third option is to opt for a multi-coloured design. However, you should be careful that the tones included don’t clash with the pink of your shirt. 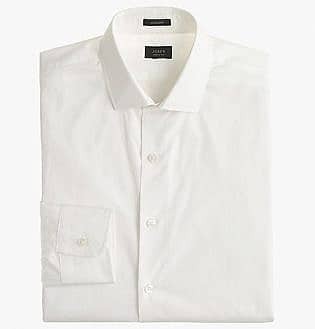 Double/French cuff shirts are the most common and classic option to wear with cufflinks. 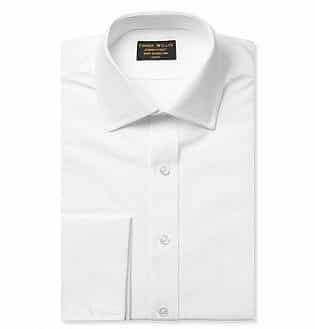 They are a type of dress shirt that features extended cuffs that fold back onto themselves to create two layers. 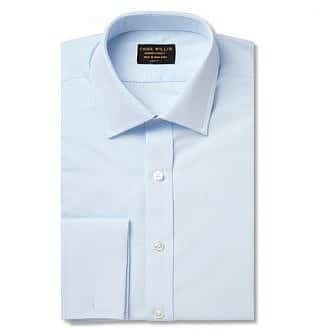 As French cuff shirts do not have buttons to close their cuffs, they require cufflinks, which can be inserted through the small holes on each side of the cuff. Thanks to their traditional and layered appearance, French cuff shirts with cufflinks appear particularly polished and sophisticated. As such, the look is ideal for formal occasions. 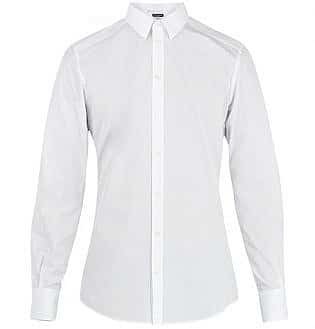 A button or barrel cuff shirt is less formal than a double or French cuff design. Although the style features a button fastening, some options are convertible, meaning they also feature two holes on each cuff. 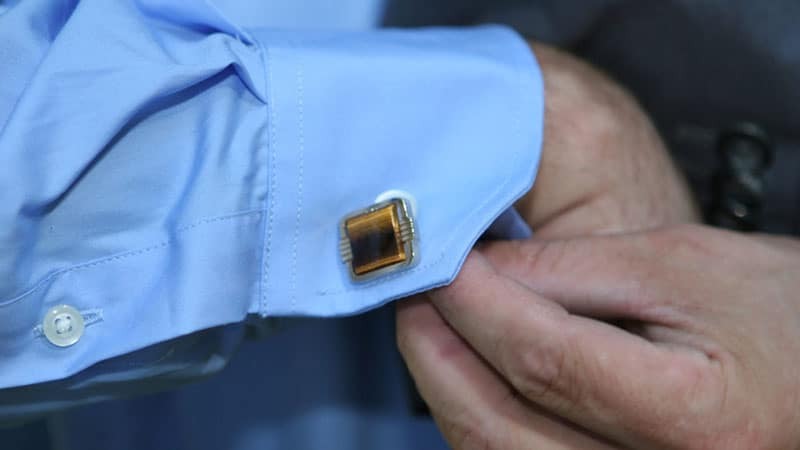 This allows the wearer to remove the attached button to turn the shirt into a single-cuff style that they can wear with cufflinks. 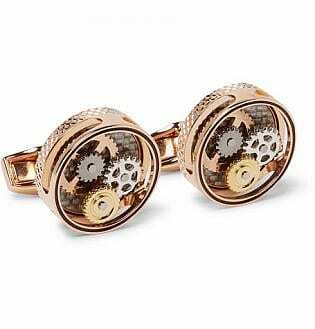 You may find cufflinks a little fiddly to put on when you first start using them. However, over time you’ll begin to find the process easier. 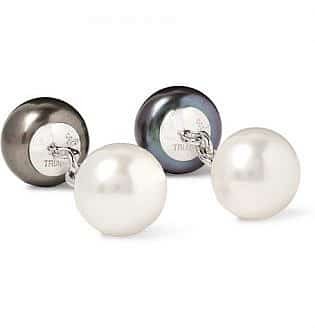 Precisely how you put on your cufflinks will depend on their style. 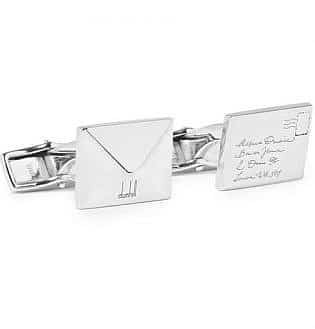 For standard bullet back or T-bar cufflinks, you must first move the small horizontal bar into a vertical position. Then, slide the end of the cufflink through your outside and inside cufflink holes. The interiors of each side of the cuff should be touching. Now, return the bar to its original position to secure your cuff and cufflink. Other cufflink styles, such as those with a fixed back, do not feature a moveable bar. As such, they need only be pushed through the holes to stay in place.